Conceived by J.T. 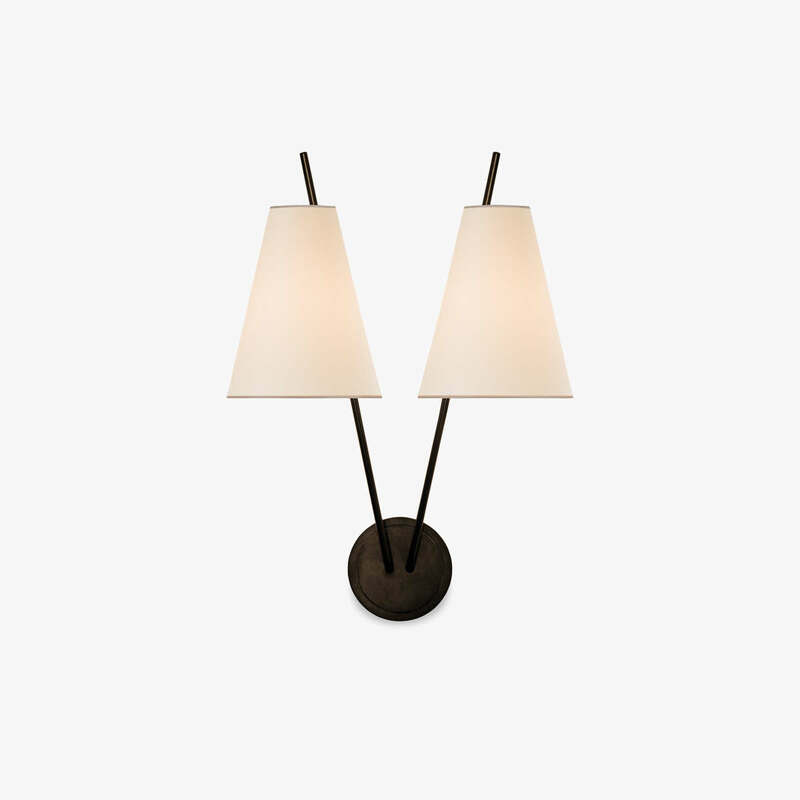 Kalmar for anterooms, corridors, or as accent lighting, this early-1950s double sconce produces soft ambient and down light. Two shades are finished in natural, textured silk. Milled wall plate and metal arms can be specified in one of four finishes: black bronze, matt black lacquer, polished nickel or polished brass.